The FMCG Sector of India has witnessed significant growth in the past few years. This is because of the increased interest of Indian Consumers in the Fast Moving Consumer Goods. 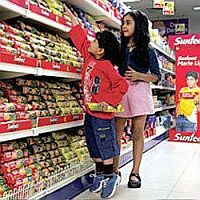 A number of national and international FMCG Companies have ventured in India to explore the benefits associated with the rising demands of consumers in India. We recommend suitable candidates for all levels and designations in the FMCG Sector. Many proficient individuals are a part of our talent pool.